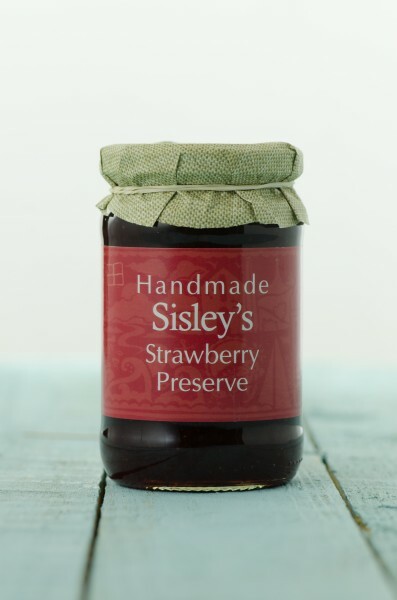 The strawberries are lightly mashed to create a textured, but spreadable dark red, delicious jam. Ingredients: Sugar, Strawberries, Gelling Agent: Pectin, Citric Acid. Prepared with 64g of fruit per 100g.